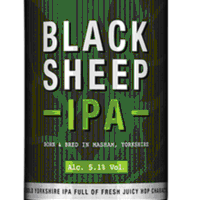 A cult classic from our range. The Official beer of Monty Python. The Quest is Over …. 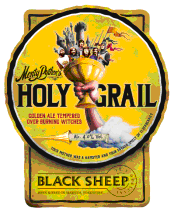 One for all you Monty Python fans … It’s undeniable that British humour and great beer go well together, so the flock here at the Brewery are proud to see Holy Grail Ale back in its special cask ale version of our hugely popular Holy Grail bottled beer. 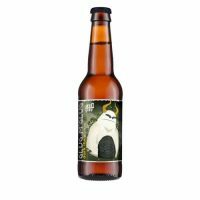 Famously “tempered over burning witches”, Holy Grail was originally created to commemorate the 30th anniversary of Monty Python, and is a much-loved part of our bottled beer collection. 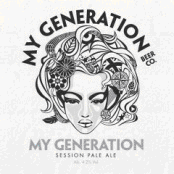 Some 15 years on, The beer has been given a new lease of life with the recent reunion and the subsequent Spamalot tour. This cask version of Monty Python’s Holy Grail is a light golden beer with a fresh, zesty taste and a long crisp bitter finish. 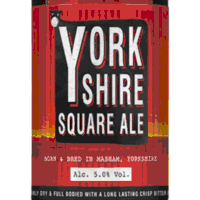 It’s brewed with a mixture of hops, including WGV, which gives the beer a light fruity nose. It’s a real tongue pleaser. Otroligt lättdrucken. Passar både till mat och till att njuta av .